Ask Chris Bonner about his days as a rescue helicopter pilot, and the extreme “situational awareness” essential to that job, and he’ll tell you about Thanksgiving night in 2005 and a winter storm rescue off the coast of San Francisco. A crewman on a polar icebreaker had a heart attack and needed a Coast Guard extraction. Immediately. As a C-130 far overhead guided him through the night storm, Bonner juggled these factors as he prepared to land his HH-65 Dolphin helicopter on the cutter’s pitching deck, a ship he had never before landed on. Battling through wind and heavy rain, working with a rookie co-pilot and negotiating constant course corrections pouring in from the C-130, Bonner realized he only had enough fuel on board to support a 10-minute landing maneuver. And it was this situational awareness — the ability to marshal past experience into the present, allowing him to accurately guess what would happen next — that led to a successful rescue. 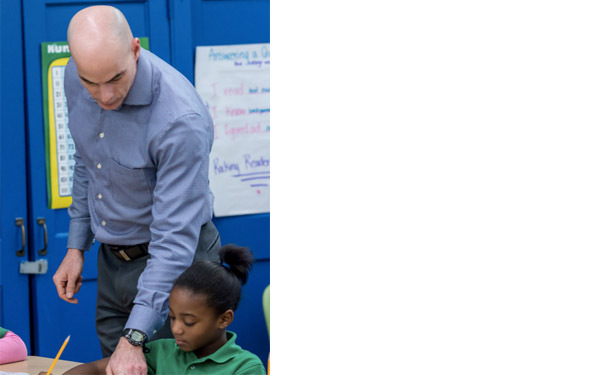 That was then, before Bonner retired from the Coast Guard, joined Teach for America and ended up in a second-grade classroom at THRIVE Academy, a KIPP New Jersey charter school in Newark’s South Ward. As I discovered, it’s the kind of neighborhood where a cab will deliver you from the Amtrak station (drivers can’t refuse), but don’t count on a cab venturing out for the return trip. Today, the question that needs asking is whether Bonner’s chopper pilot situational awareness can be transferred to managing a classroom with extraordinary challenges: Some kids arrive far behind, especially in reading skills, and teachers are expected to catch them up. Much like the military, it’s up or out for teachers here. No shortage of pressure. Both KIPP and Teach for America have a different term for situational awareness. They call it “withitness,” but it’s really the same thing. Can Bonner scan the classroom and make quality and timely decisions about keeping all kids on track while pacing the learning? Without perfect pacing, the learning mission doesn’t get accomplished. And that’s not the only question that needs asking about Bonner’s dramatic switch from the military to urban charter schools. In a vastly improved economy where fewer graduates of elite colleges are applying to TFA, can career changers such as Bonner, 44, survive, thrive and make up the difference? 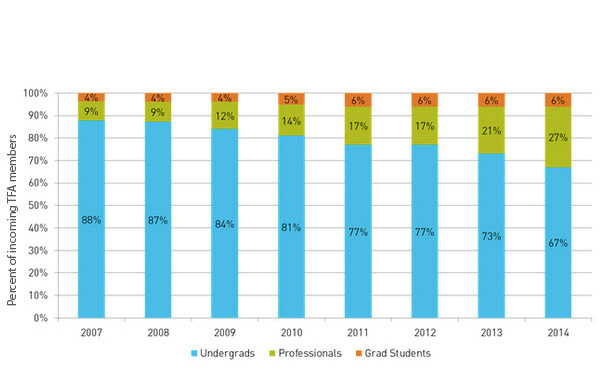 Within TFA, career changers are a fast-rising group, from 12 percent five years ago to 27 percent today. TFA needs corps members such as Chris. Will TFA’s strategy work? Flying search-and-rescue missions may be difficult, but at least Bonner always had down time in the Coast Guard to sip coffee and check email. Here at THRIVE Academy, as with other high-performing inner city charters, there’s precious little down time. Hard to believe, but this job may be tougher than landing a Dolphin on an ice breaker during a winter storm. I first met Chris when a fellow neighbor in Arlington, Va., introduced us. 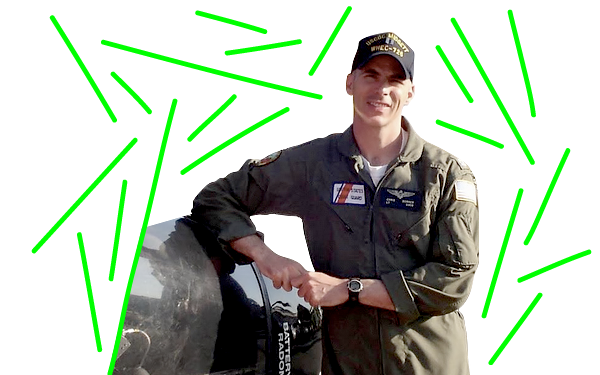 Chris, the neighbor said, was interested in pursuing K-12 education after bringing his 20-year military career—first flying helicopters for the Army, then the Coast Guard—to a close. I write about education. Why not try dinner at a local Lebanese restaurant to explore mutual interests? We did, and thus began a friendship based on those interests. I was flattered to be invited to his retirement at Fort Myer, the historic Army post near the national cemetery. I watched an emotional ceremony as Chris removed all of his military honors and insignia and passed them to those who meant the most to him, including a high school baseball coach who had driven all night from Illinois to be there. Instinctively, Chris chose charter schools as his goal, which made sense. He was looking to make a big difference where it was needed most. He grew up poor, joining the Army right out of high school. He got some breaks along the way, and he wanted other poor kids to find those same breaks. You don’t make that kind of difference teaching in our upper-income neighborhood of Arlington. To find something akin to plucking swamped sailors from the ocean, you go to places like Newark. In the long run, Chris wanted to run a charter school, which fit his management skills (after leaving flying, he managed Coast Guard education programs, and already had a K-12 teaching certificate). But he knew he had to teach first. How could you possibly manage teachers at a culture-intense charter school unless you knew, brick by brick, how that unique classroom culture got built? I watched with both awe and trepidation as he pursued a really tough choice. Joining TFA meant bunking and training with recent college graduates who probably wouldn’t know what to make of this tightly muscled guy with the shaved head and booming voice. It meant his new boss would be half his age. It meant countless, unpredictable changes in his life. It wouldn’t be an easy journey. But even I was surprised by some of the bumps along his path. My favorite story: When Chris announced his intentions to pursue TFA and work at a Newark charter school, the parents at his daughter’s upscale Virginia elementary school smiled, politely nodded and wished him luck. Clearly, many thought he was out of his mind. In this neighborhood bustling with lawyers, entrepreneurs and upper-level government workers, being a chopper pilot is unusual but kind of intriguing. Teaching in Newark…not so much. Aren’t you imperiling your wife and daughter? Becoming a commander on a helicopter search and rescue mission requires nearly four years of training and 900 flight hours. To prepare for this career change, working with inner-city second-graders, Chris would get little more than a month to prepare. 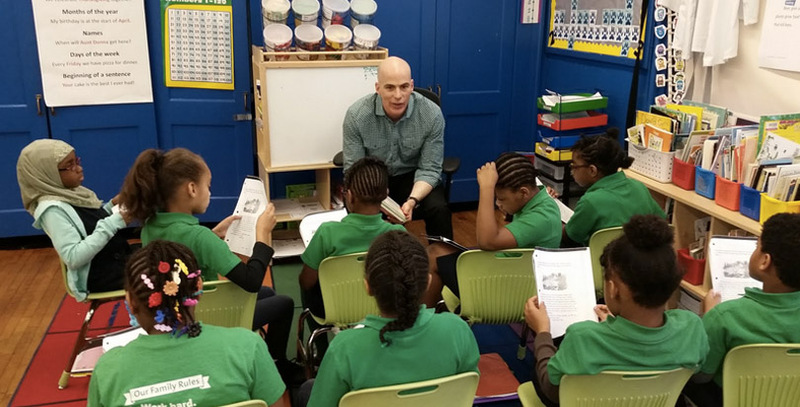 First, an induction week at Rutgers University’s Newark and Camden locations and then four weeks at Temple University, a KIPP partner in Philadelphia. There would be a chance to practice before some summer school students and then on to the real thing at KIPP THRIVE. How could this possibly work? The social interactions were, well, a little less smooth. A rabid Seinfeld fan who can quote entire show sequences, Chris got nowhere telling Seinfeld jokes with this group of 22-year-olds. Maybe they had seen some reruns; maybe not. Fortunately, Chris’s roommates were other career changers. No coincidence there. Chris and his roommates, both Wall Streeters looking for more meaningful second careers, kept steady hours – early to bed, early to rise. Unlike the other corps members, who were just a few months out of college and had never held steady jobs before. For them, it was college all over again, sharing music and gossip in the hallways, staying out late at karaoke bars. Other than everyone joining TFA, they didn’t have much in common. For Chris, the hardest part was adjusting to what he dubs “rainbows and unicorns” sessions, where corps member share, emote, tell “life river” stories about themselves and work long and hard on cultural awareness issues, especially involving race. Chris got it. He knew he was headed into a classroom where every single student was likely to be poor and African American. And here he was, white, male, shaved head and military. He understood the reasons for the rainbows and unicorns, but it didn’t come naturally. There’s no touchy feely talk in the military. “Over time, the hugs and kisses wear you out. I don’t need to share my innermost thoughts.” But he got through it. Fortunately, Chris’s principal, Lindsay Schambach, had anticipated all this and assigned him to a lead teacher, Diane Revalski, who is both a crack educator and someone unlikely to be intimidated by Chris. On the April day I visited the classroom, every so often Diane would climb on a desk, with a #2 pencil thrust through her tight bun, and loudly announce new orders for rotating learning groups. She was a perfect match for Chris, who by this point in the school year was teaching with confidence. His pacing, going through small group reading sessions, seemed flawless. The respect among the kids was evident. So what does Chris’s story say about TFA’s future? Yes, the situational awareness acquired as a helicopter pilot translated into classroom withitness. But what proved to be just as important was an embrace of the teaching culture, unicorns and all. Everyone agrees Chris became an effective teacher in less than a year. How many first-year teachers can claim that? The second question: Can TFA and KIPP count on career changers? They already are, with general success. But the massive time commitments required of managers may keep many of them, especially those with family duties, from moving into top leadership roles. Finding the right talent to fill that incredibly demanding job will continue to be a challenge — a challenge that threatens to limit the growth of elite charters. 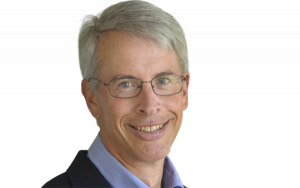 Emerson Collective fellow Richard Whitmire is the author of several education books, including 2014’s On the Rocketship: How Top Charter Schools Are Pushing the Envelope.